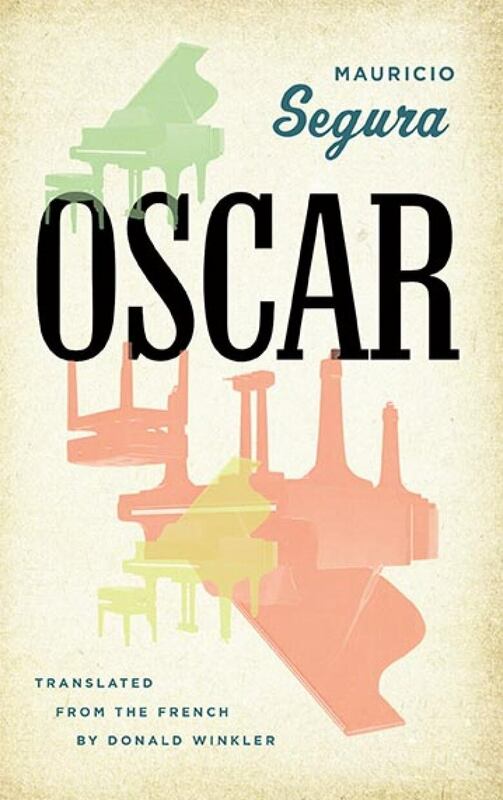 Oscar by Mauricio Segura is a fictionalized account of the life of legendary jazz pianist Oscar Peterson. Each time Brad, Oscar P.'s big brother, starts playing the piano, the rain stops, summer returns, and the sun refuses to set. After Brad succumbs to the white plague, Oscar too spends his days fighting disease, confined to a hospital. Playing the organ at night for a mysterious sickly girl, he discovers his own talent, although years after recovery, he finds himself desperate, poor, and depressed—until the devil, otherwise known to the world as impresario Norman G, happens on him in a moment of crisis. Just before meeting the devil in person, that fateful morning with its ashen sky, Oscar was gazing down at his reflection in the canal's oily waters with the firm intention of putting an end to his days. There were two or three people—at a factory window, on the footbridge over a lock, atop the church steeple next to his parents' house—who might have recognized from afar his imposing silhouette through the layers of stagnant fog that strangely, that day, no wind had come to disturb. Most of the inhabitants of Little Burgundy knew that in recent months, O.P., as everyone affectionately called him, had been in a bad way, as there'd been little sign of him in the jazz bars. Some said that he'd been trying to forget himself by working as a docker in the port, others that he was wandering about like a lost soul. But no one suspected that his despair ran so deep. From Oscar by Mauricio Segura, translated by Donald Winkler ©2018. Published by Biblioasis.